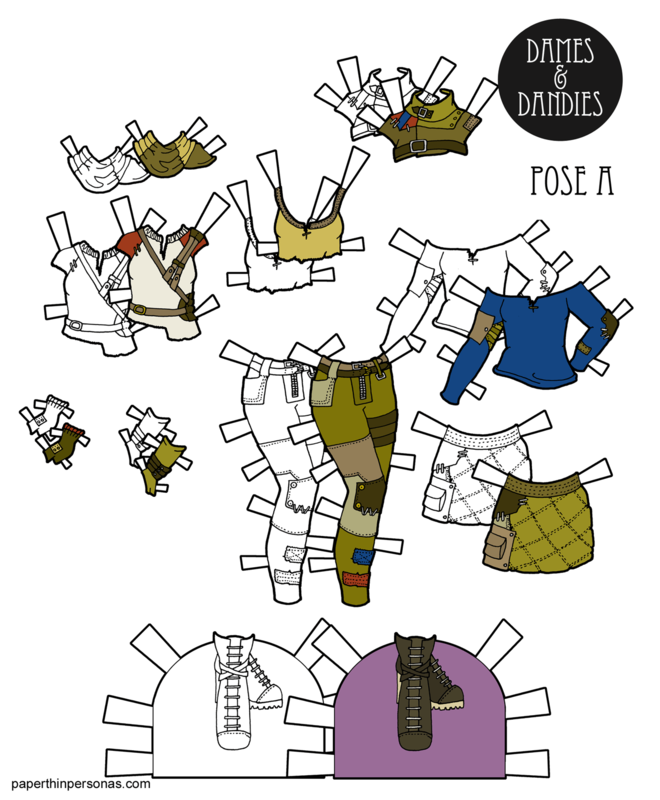 When I was working on these double doll sets, I realized I hadn’t done any paper dolls for the Dames and Dandies with glasses yet. That seemed like a serious omission given that I wear contacts and can barely see without them. So, I knew I wanted a doll with glasses. The doll on the left has a hairstyle based on how a student who worked for me wore her hair and the doll on the right has blond highlights. That’s actually her second hair style. I really didn’t like the first one I designed, once I saw it on the doll. That happens sometimes, because I draw all the hair separately and sometimes once I get it fitted to the dolls head, I’m not sure that I like it as much as I did in theory. Fortunately, it’s not hard to draw another one and through the “Power of Photoshop” there’s a lot of options. Coloring wise, these versions of Beatrix have, of course, the same skin-tone as the other versions of Beatrix. I did however choose to match the paper doll’s glasses to her toenails, like you do. Meanwhile, I posted a few progress images over on Patreon if you’d like to see some work in progress and my #100dressesproject continues on Instagram. Almost done! I’m in the 90s. 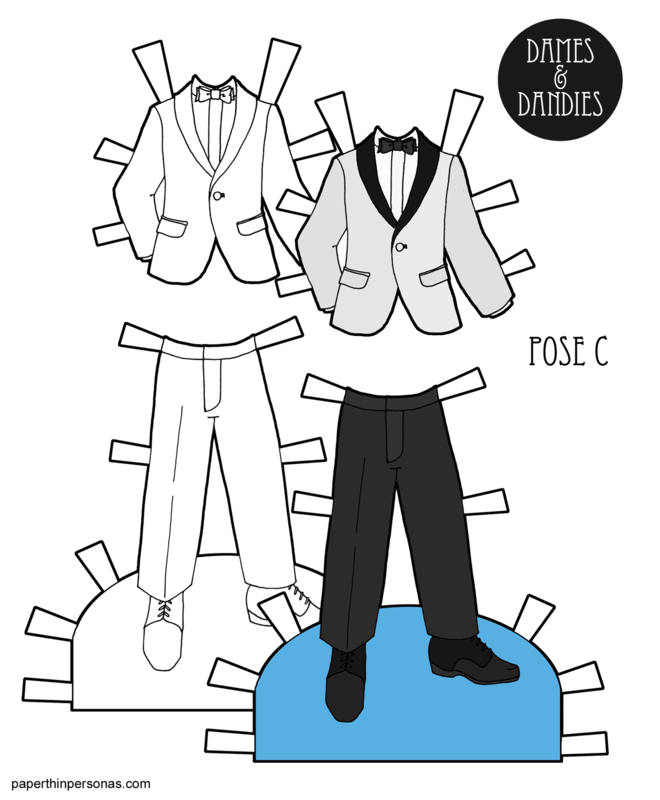 And, as always, I’d love to hear what you think about today’s paper dolls. Happy Friday! Today, I am super pleased to share Batari, a new B pose doll. Batari is an Indonesian name that means Goddess. Batari went through a few different versions and face lifts before I was settled on her. I don’t want to share things I don’t like, so I sometimes that means revisions are needed. I am very happy with how she came out in the end, even if the process got a little messy. There might have been some cursing. I’m just saying. As you might have noticed, there’s not just one Batari paper doll today, there’s two! I realized I could fit two of any of the dames dolls on a single page and I decided that I would create double doll sets for all the Dames. That’s Abigail, Aisha, Akiko, Alice (in the A Pose) and Beatrix, Benedita, Bridget (in the B Pose). Since I was working on Batari at the time of this realization, her first sets is not one Batari, but two. I wanted to do two very different feeling paper dolls. So, the doll on the left has a casual hair style and the doll the right as a fancy up-do and painted nails. Just like any of the other B Pose paper dolls, Batari can wear any of the B pose clothing, of course. I personally think the casual doll on the left might like some boho clothing while the doll on the left seems more like a gothic fahion girl perhaps. Of course, either could wear this super fantasy kaftan or this armored fantasy gown. 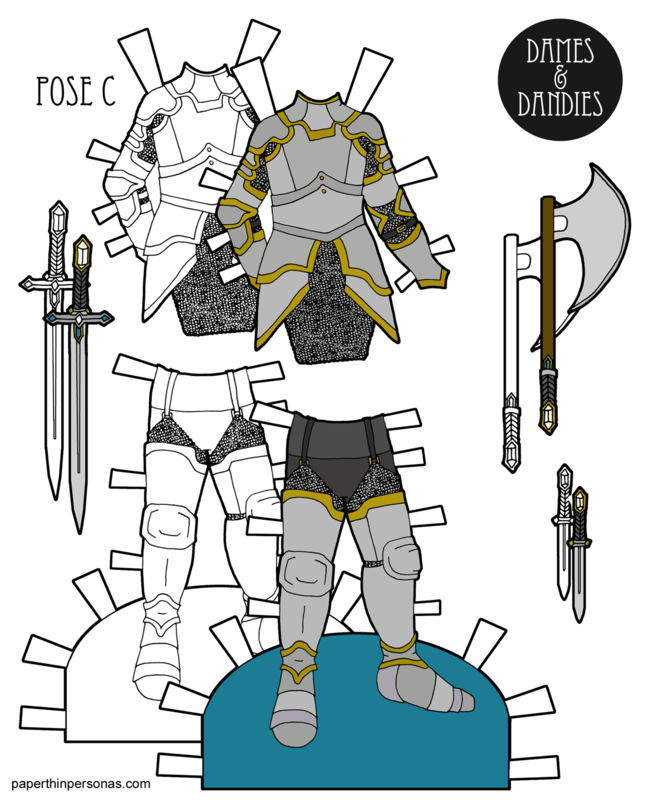 My paper dolls lead interesting lives based on their clothing options, I like to think. If you love the blog and want to keep it ad free, than consider supporting it through Patreon. Meanwhile, did you know I have been working on drawing 100 dresses and posting the designs on Instagram? It’s been a super fun project and you can check it out on my Instagram feed.